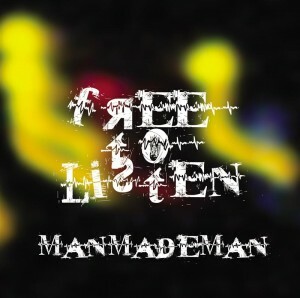 Free To Listen is the fourth studio album from the legendary ManMadeMan, a project formed in 1994 by Sonya Bailey and Paul Baguley. As two of the original psychedelic trance pioneers, their extensive discography includes releases on prominent labels such as Flying Rhino, Matsuri, Transient, TIP.World, Flow, and Turbo Trance, among others. In their words, the sound of ManMadeMan is described as “positive, funky, psychedelic, and musical all at the same time.” Free To Listen is perhaps the deepest and most genuine expression of the themes that ManMadeMan have explored throughout their long and successful career. By asserting total artistic control over this independently produced album, Paul and Sonya were free from the creative constraints imposed by risk-averse labels seeking only what is safe and dependable. This exposes the dual meaning of the title: not only is Free To Listen free for everyone to download and enjoy, but the very act of composing the album was itself a form of liberation. The results are impressive, encompassing a diverse range of styles including progressive, techtrance, psybreaks, full-on, downtempo, and other mutant strains of funky psychedelic trance. MP3 Download | FLAC Download | WAV Download · Download count: 32,486. Released under a Creative Commons licence for noncommercial usage. In addition to the DJ-friendly unmixed version (linked above), Free To Listen is also available as a seamless mix in MP3, FLAC, and WAV. WOW WOW is just toooo gud ……amazing number ……worth the download and time ……..takes u inside and makes move……. Legends!! Legends, Dammit! Do you hear me Sonya & Paul?? Legends!! It’s to be wondered it got this low rating. It’s worth 4.5/5 at least. Amazing work and respectable project that keeps scene alive since 1996. I find this to be one of the very best releases available on the site today. I never tire of hearing this great album and continue to play many of these songs out to an enthusiastic dance floor response. Field Trip is loads of fun and always gets people shaking and shouting. The Path, later released on the Supermarket compilation, is very deep and spooky. Information Overload provides an excellent stepping stone between breakbeat patterns and progressive grooves. The science-fictional atmospheres of Alien Psychic and We Are Not Alone always work wonders. Not only is it an effective dance floor tool but with the smooth flow between tracks and mood-setting introduction and conclusion this is a fantastic home listening experience as well. I am really glad to have had the opportunity to promote this landmark release. Sonya and Paul deserve a lot of praise for breaking a mould. Perhaps this is something others could take note of and follow. Don’t forget there’s the added bonus of two previous albums from them to catch up. Cheers to Sonya and Paul!! great albums ,great website , i got a gift today! Yeah! Yeah! ManMadeMan is one of the best! And this site too! “The Path” is my favourite. Best Release as far as diversity and yet groove all round…..I was told i should like them,i know why now…..if only most of trance producers could be that adventurous and not easily satisfied with the same boring patterns that haven t evolved since then edge of time….Well done! You are all groovy in your own awesome ways!!!!!!!!!!!!!!!!!!!!!! PEACE ON FELLOW GROOVERS! WOW. WOW. I <3 these groovy jams way 2 rok out on the tunes gr8 job manmademan!!!!!!!!!!! ya im wit popdaddy whereh r yiu guys miisen out on all of the grovy jams theyre gr8!!!!!!!!!!!!!!!!!!!!!!12!!!!!!!!!!!!!!!!!!!!!!!!!!!!!!!!!!!!!!!!!!!!!!!!!!!!!!!!!!!!!!!!!!!!!!!!!!!!!!!!!!!!!!!!!!!!!!!!!!!! !